We strive to provide professional barber services in a professional, family friendly environment. Book your experience today! Bevans Grooming is the premier grooming barber studio in Montgomery County Maryland. Our goal is to not only provide you with professional personalized services, but to also enhance your grooming experience. The environment is upscale and the service is second to none. 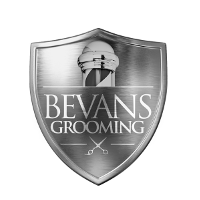 Weather you want a quick trim, a customized cut and style, or a full scale shave experience, Bevans Grooming can increase your image and level of confidence. The atmosphere is professional and family friendly with great conversation and customer service. Our Gaithersburg, MD location has three barbers with years of experience. We are appointment based to better serve our clients. We will try to accommodate walk-ins, but appointments are highly recommended. Bevans Grooming has a wide array of services… actually, Experiences, that you may book. When was the last time you were able to lay back and get a hot towel shave with therapeutic hot steam soothing your skin? Or, a clean fade with a comb-over? For the ladies, we also cut short/close natural hair styles that fit your look and personality. 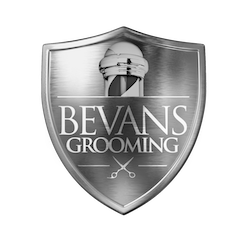 Bevans Grooming is, Karim “Reem the Barber” Bevans’, dream of providing a professional upscale environment, with the best custom haircuts and services. It is designed to create a culture whereas one cares about how they look and feel. We stay up to date with all the latest styles and trends. So if you want to experiment with a new look, or keep it clean with your current style, please allow Bevans Grooming the chance to not only provide you with your cut, but to also provide with with an experience and confidence.